The valley rim trek offers you to explore some of the best view points of near Kathmandu and the suggested trekking package also allow you to visit one of the best bird sanctuary of Nepal. The entire trekking trail follows Kakani to Ngarkot hill stations are belongs to Shivapuri wildlife Reserve Park so may you have chance to encounter many wildlife and rare wild flowers in nature. 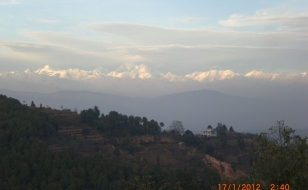 Nagarkot and Shivapuri hill tops are also renowned as magnificent panorama view point. 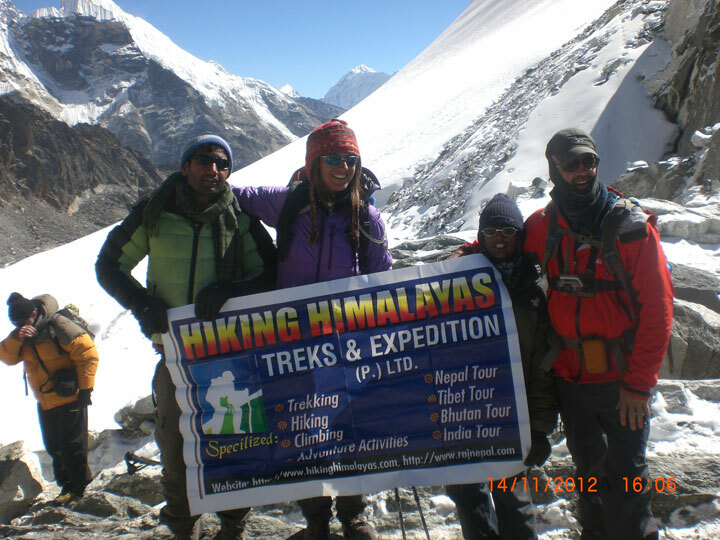 Trekkers have chance to see many splendid mountain peaks- Ganesh Himal, Manaslu, Lantang Lirung, Dorje Lakpa, Shisa Pangma and Gauri Shankar. 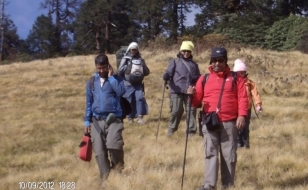 It is a truly short and beautiful trekking region and those who have limited time can be visited without any risk of natural calamities along the journey. 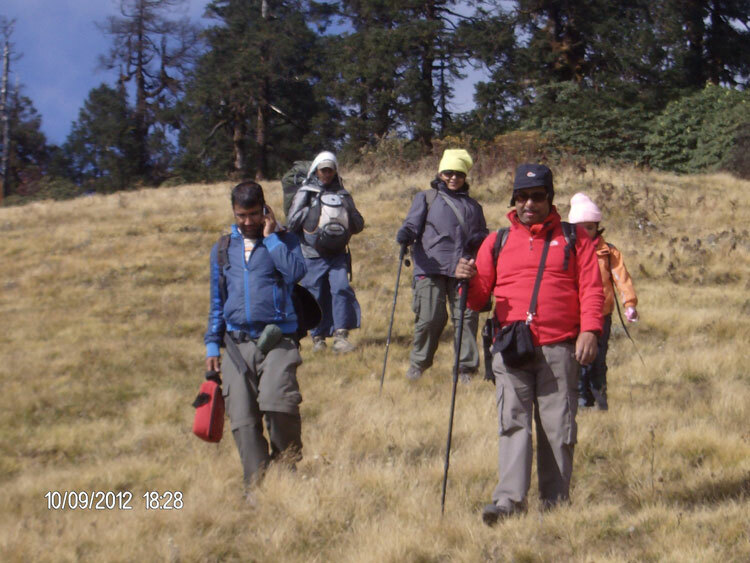 The trekking trail is ideal for every age group and those who are looking for short and normal elevation level hiking. Besides trekkers experience typical culture of local people and enjoy different authentic hospitalities. 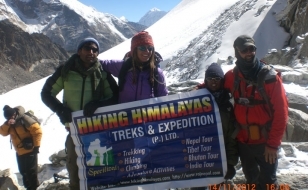 Hiking Himalayas always focus to design every package as much possible to meet better attractions of the region and our guests have pleasurable holiday in fun filled environment. Day 01: Arrival in Kathmandu airport Nepal. Up on arrival meet our office representative at airport and transfer to hotel/ after refreshing complete the official formalities/ briefing about the preparation and rest of the day free for your own leisure/overnight at hotel in BB Basis. Pasupatinath Temple, Boudhanath Stupa & Swyambhunath Stupa which will take you to visit Nepal’s most popular attractions and lunch break will be during the tour at best restaurants available/overnight at hotel in BB Basis. have lunch and drive back to Kathmandu, transfer to hotel, be refresh, rest or free for personal activities (Hotel BB Basis in Kathmandu). Day 08: Rest, shopping or free for personal activities. Evening fare well dinner with culture show at Nepalese Traditional Kitchen you will be enjoyed very authentic way of Nepalese hospitalities and overnight at hotel in BB Basis. or if you wish to have onward programs- wildlife safari tour, whitewater rafting/ kayaking, paragliding, sightseeing or visiting main tourist attraction of around please let us know we are happy to organize as you wish. • Transportation- to and from starting and ending point. • Necessary trekking permit, conservation and TIMS fee. 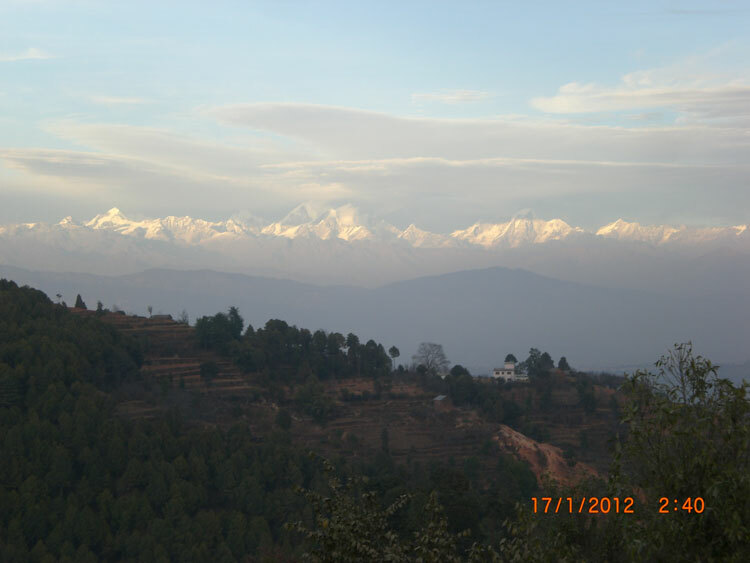 • 3- Nights accommodation in Kathmandu in BB basis before and after the trek. • Sightseeing Tour as per above program, inclusive of all entry permits, tour guide and transportation. • Wildness First aid kit pack for the trekking. • Hotel in Kathmandu extra days stay. • Food (Lunch & Dinner) before and after the trip in Kathmandu. • Personal expenses such as laundry, telephone calls, alcoholic beverages, bottled drinks (including cold drinks and mineral/hot water/ hot drinks/shower tea-coffee, chocolate hot drinks), tips for the guide, porter & other staffs etc. • Travel insurance and emergency evacuation cost. • Personal trekking gear for the trek.